Keyhole pendant deta ils this fancy curb chain necklace from Fossil. Collection:Iconic Chain. 28 " length. Not intended for children 12 & under. Item Specifics. In Egyptian mythology, the God Ammon looked like a man with horns like a ram. 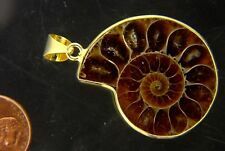 This fossil is thought to be from the Permian period (250 million years ago). FREE scheduling, supersized images. 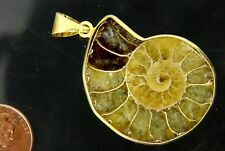 Fossil Mystic Garden Flower Necklace Pendant Gold Tone New! 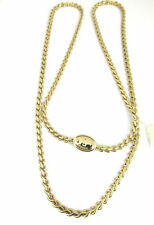 Logo F embossed lobster claw style closure with a Fossil logo heart, lock and key. We'll be happy to help you find just the right designer fashion piece for your needs. From the Best Friends Collection by Fossil. Stainless Steel Silver Bow and Gold Tone Arrow with Crystal Accents. 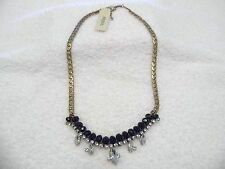 Arrow necklace approx. 18" L, plus 2 " extender. 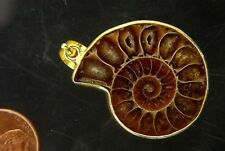 Pendant approx. Fossil Necklace, Peach Colored Semi Precious Stones. 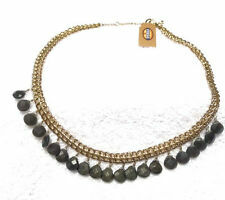 Gold tone chain link necklace is woven with peach colored semi precious round stones. 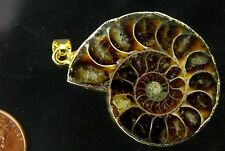 interlinked with gold tone disks, two of which are encrusted with clear rhinestones.